The Commands you enter in "Run" dialog box from start menu in Windows operating system are automatically cached to help you later with Auto-complete. One can play around with these entries - delete, add your own, etc. 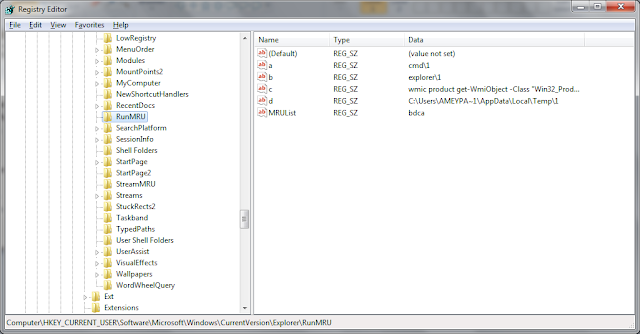 as these are stored in cached list inside windows registry. 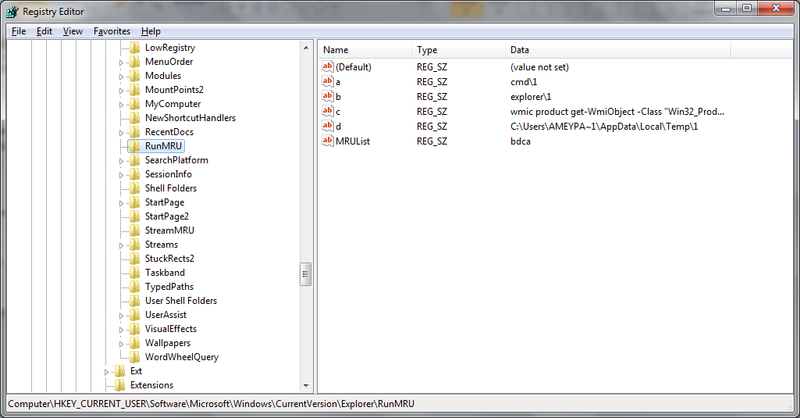 One you click on RunMRU folder, on right side you will find entries for the Most recently used command in Run box. You can now, delete the unwanted entries, add some of your own or just play around with it.